Three Burr brothers (ages 12, 6 and 2) came to Florida in 1876 with their grandfather, a former commissioner of Washington, D.C. as well as their father, who worked for the treasury department, two sisters and their great aunt. Lured by life in the subtropics where exotic fruits, palms, orchids and winter vegetables grew well below the frost line, four generations of Burrs left their comfortable home in Georgetown to embrace the challenges of pioneer life in the Sunshine State. Moving south to Homeland on the Peace River in 1884, they set up a showplace of exotic flora at their home at Kissingen Springs. Wiped out by the devastating freeze of 1894-5, the family moved farther south once again in search of warmer climate. The Burrs relocated to Dade county before the railroad arived in the newly formed city of Miami in 1896. The three brothers each pioneered a part of Dade. Father Richard Hudson Burr and eldest son R.H. Burr, jr. settled in Little River. Edward DeVere Burr and family settled in Arch Creek. Raymond Young Burr and wife Carrie came to farm in Goulds in 1916. Their sons Edward and Charles grew up on this farm in the early 20s. Along with another pioneer clan, the Bush family, the Raymond Burr family once operated a packing house on Old Dixie Highway, and were among the first to ship fresh fruits and vegetables to cold northern cities throughout the winters. Charles Raymond Burr, widely known as the Strawberry King, was born on this pioneer property on Burr Road in 1922. The historic home of his birth, built in 1921, remains unchanged to this day. A recipient of the Purple Heart and Bronze Star from service in WWII, Charlie Burr will forever be known in these parts his passion in the production of the best strawberries in South Florida. He planted his first crop of berries in 1960 and the rest, as they say, is history. Charlie also liked ice cream and decided to add strawberry ice cream and milkshakes to the menu in 1968. The idea was an instant hit with locals and tourists as the lines in front of the berry stand grew longer. Charlie enjoyed flying his piper cub around the redlands and the old landing strip at the Burr farm is still found on many maps and charts of the area. 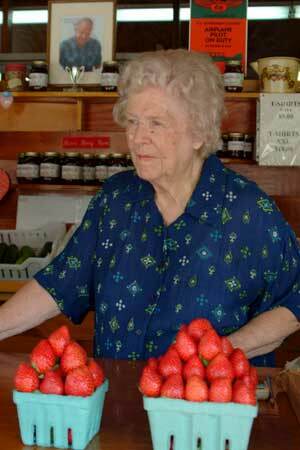 He passed away in 2001, but the legacy of the Strawberry King lives on as customers eagery await the opening of the stand soon after Christmas each year. They close before Mother's Day in May. In 1988, the Urban Development Boundary was extended past the property. Expanding residential areas have surrounded the farm property over the years, but the pioneer Burr farm continues to remind us of the way things used to be. Uncle Charlie could often be found delivering fresh berries to the Publix grocery store in Coral Gables, a great convenience for us city dwellers, but nothing compares to a trip down south to say hello in person and enjoy the best of the best strawberries in South Dade. 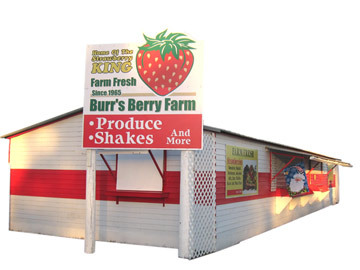 Under the direction of Charles’ heirs, this very popular berry farm and fruit stand still dispenses thousands of quarts of first rate strawberries and delicious milkshakes to locals and tourists each season. Aunt Mary Idena still produces her outstanding homemade jellies and jams, from mulberry and guava (a century-old family favorite) to seedless strawberry jam. You’ll also find a selection of fresh tomatoes, green beans and other seasonal specialties at the stand. Enjoy the delightful garden on the west side, where you can sit and enjoy your fresh strawberries and milkshakes in the shade or at a picnic table, surrounded by plants and flowering trees. 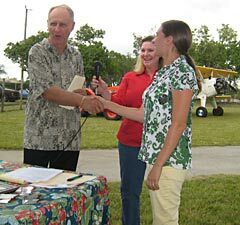 Beginning in 2008, the RCA awards scholarships to graduate students who are contributing to the future of agricultural science and practices. These funds are awarded in the name of Charlie Burr, a man who spent his entire life's work furthering the cause of maintaining and supporting the agricultural community in South Miami-Dade County and the Redland Region. The winners were Tara Tarnowski, Marco Eduardo Canto, and Isaya Kisekka. They are pursuing advanced agricultural degrees at University of Florida's Tropical Research Education Center Redland Campus. 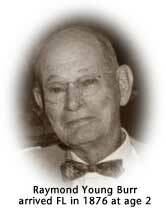 Contributions to the Charlie Burr Agricultural Scholarship Fund are welcome. Contact the RCA for more information.